Reflections on Faith and Culture: Mapping America . . .
Mapping America . . . 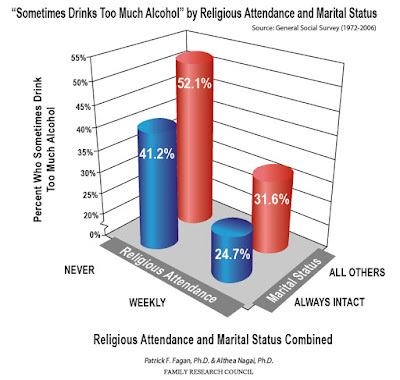 Adults in always-intact marriages who attend religious services at least weekly are the least likely to report that they sometimes drink too much alcohol.